There are many options that have proved to be highly successful. 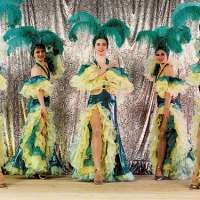 They include mediaeval tournaments, night time revue shows, cabarets, jazz music or early music ensemble performances, Chopin piano recitals, typical Polish folklore performances and a night at the opera with Polish or international repertoire. Many of these top class shows can be combined with a Gala dinner.